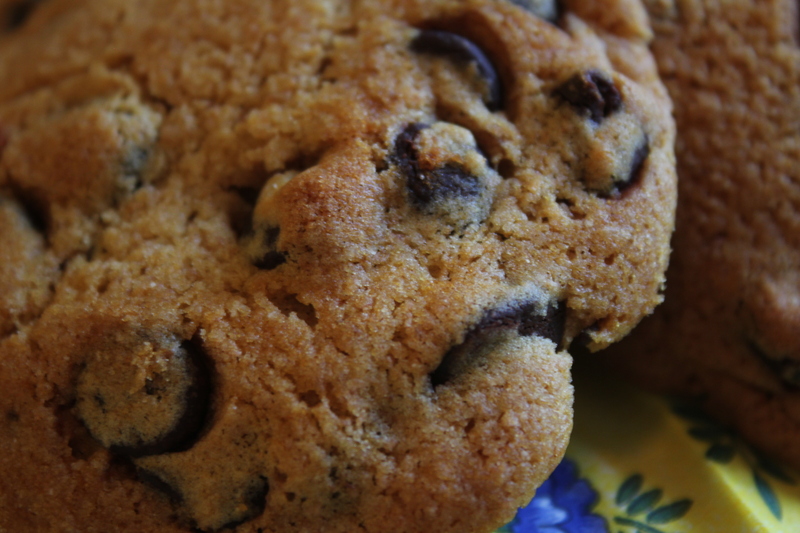 These cookies are simply delicious, and there is not one speck of cane sugar inside! I changed the recipe on the back of the Toll House chocolate chip package and the result is a batch of delightful, cake-like treats! I am also sharing this recipe with Everyday Sisters, Something Swanky, Sweet as Sugar Cookies, The Lady Behind the Curtain, Joy of Desserts and on my Facebook page. This entry was posted in Recipes - Dessert and tagged Cane sugar free, Recipes. Bookmark the permalink. Hey — This is great! I’ve been looking for ways to cut sugar out but still have good sweet snacks. Fabulous cookies! I highly recommend them allergies or not! I believe you told me to watch out for corn syrup as an ingredient, and that it is possible to find extract without it–an excellent tip. These cookies taste great without the guilt…gotta go back for more.